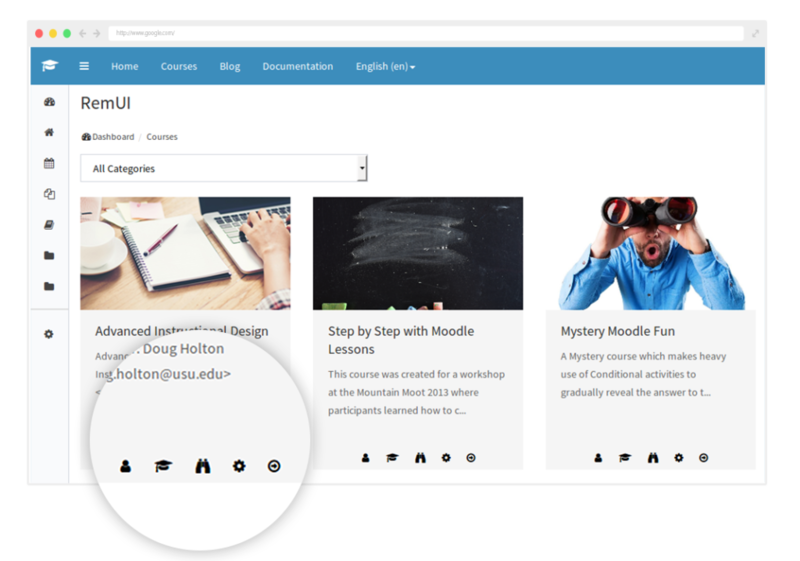 A Moodle theme unlike any you’ve ever seen before. 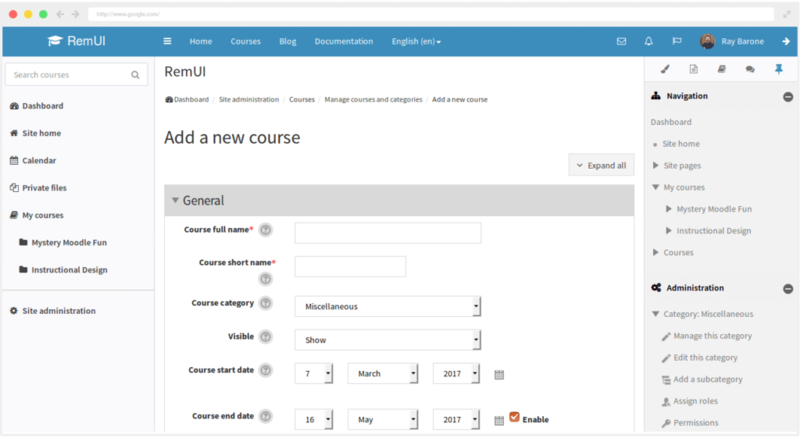 With a clean User Interface, Edwiser RemUI has simplified Moodle for all. Getting an overview of your course is as simple as hovering your cursor on the left sidebar. Does it get any simpler? 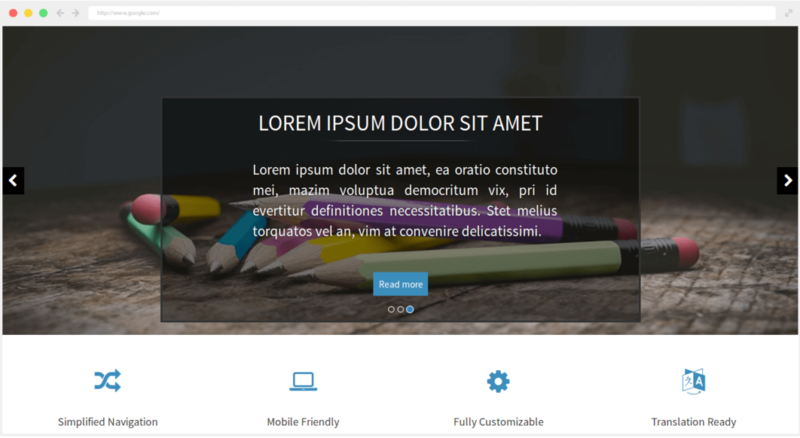 Edwiser RemUI introduces simplified collapsible sidebars. The collapsed sidebars give a cleaner view for your course content. Course page shortcuts let you quickly access frequently used course options. These include Enroll, Activity Reports, Grader Reports etc. Send and receive Messages from other users. Right from the dashboard. You also get instant notifications for new messages. Course creation has never been easier. Just one click on the sidebar will take you to the course creation page. Sliders can be added on the homepage instantly, showcasing your popular courses with full width images. 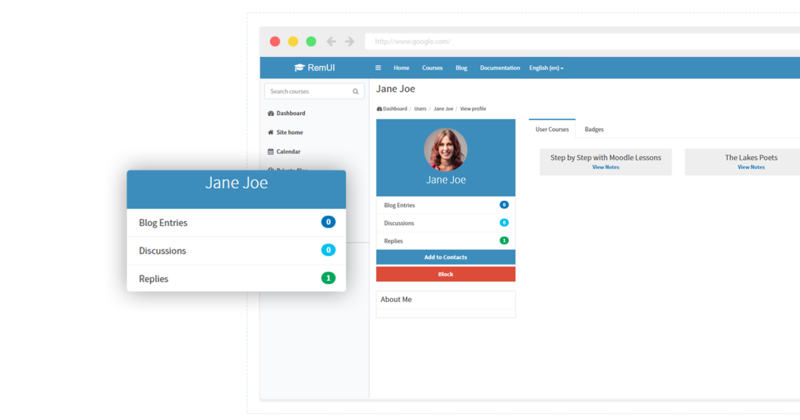 RemUI is a multi-lingual enabled theme. 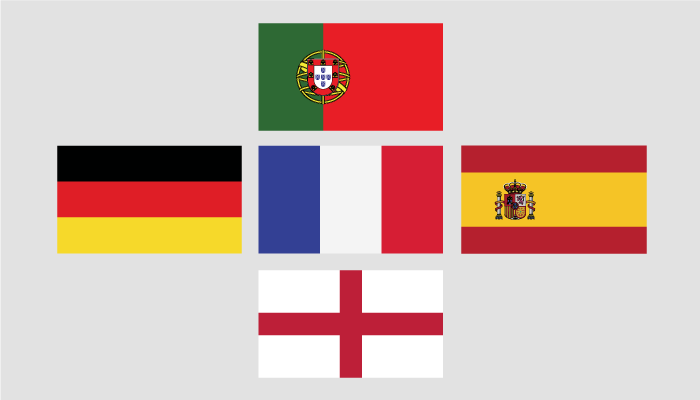 The theme has 5+ languages pre-installed and Moodle’s 140+ language packs which can be installed with one click. The default Moodle calendar is barely functional, so we decided to make it cleaner, sleeker and feature rich. Edwiser RemUI is compatible with Moodle 3.0, 3.1, 3.2 & 3.3. Can I get a Moodle administrator tour of Edwiser RemUI? Sure. We’ve set up a screenshot guide of the Admin View. You can explore the various advantages Edwiser RemUI presents a Moodle administrator here. Every license you purchase is valid for one year, during which you will receive free support and updates. After the license expires you will still be able to use the plugin, but will not receive support or updates. To continue receiving support and updates, you will have to renew the license at 30% discount on the current cost price of the theme. Please refer this terms & conditions to know more about our refund policy.